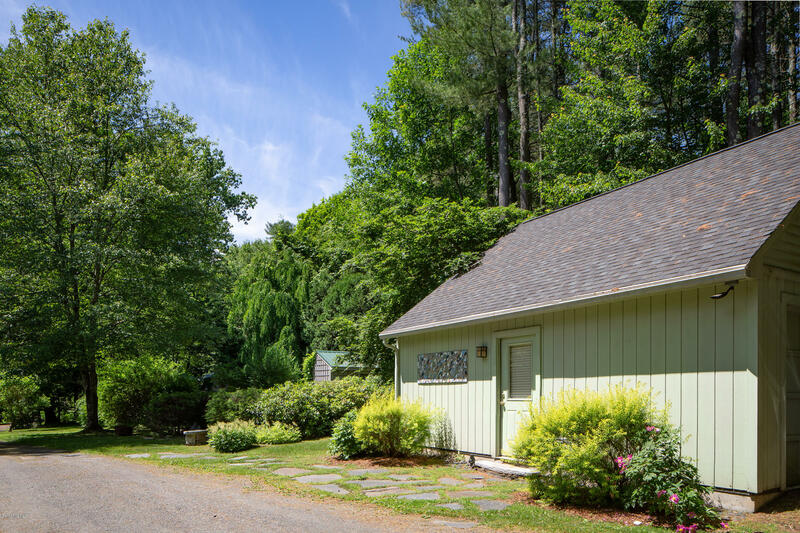 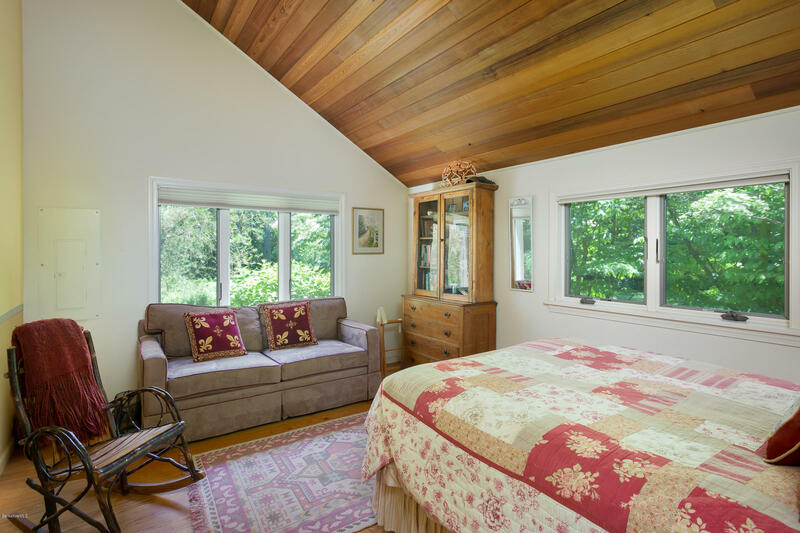 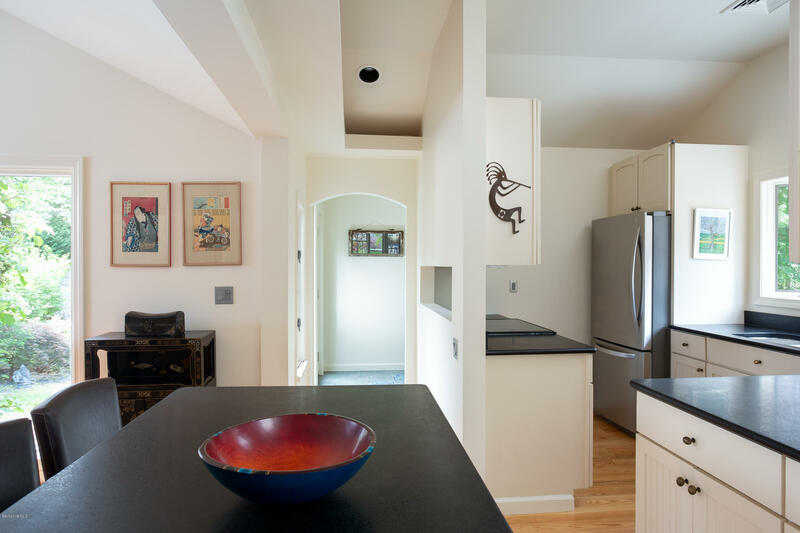 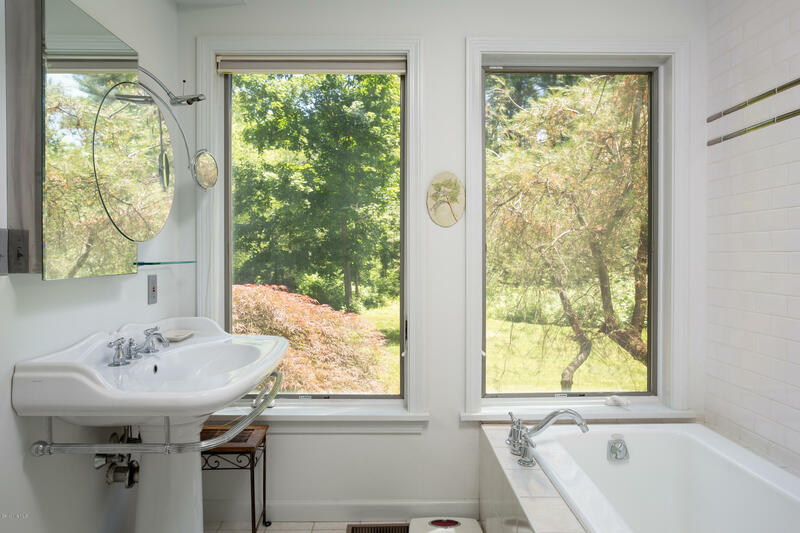 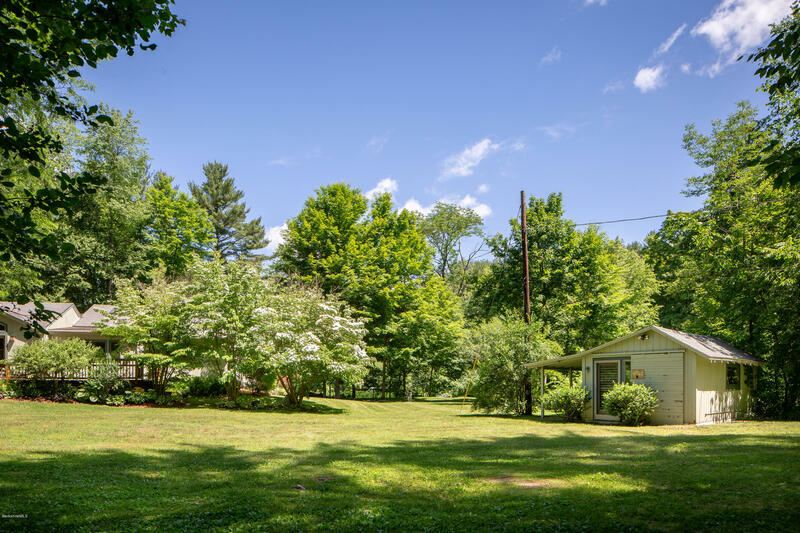 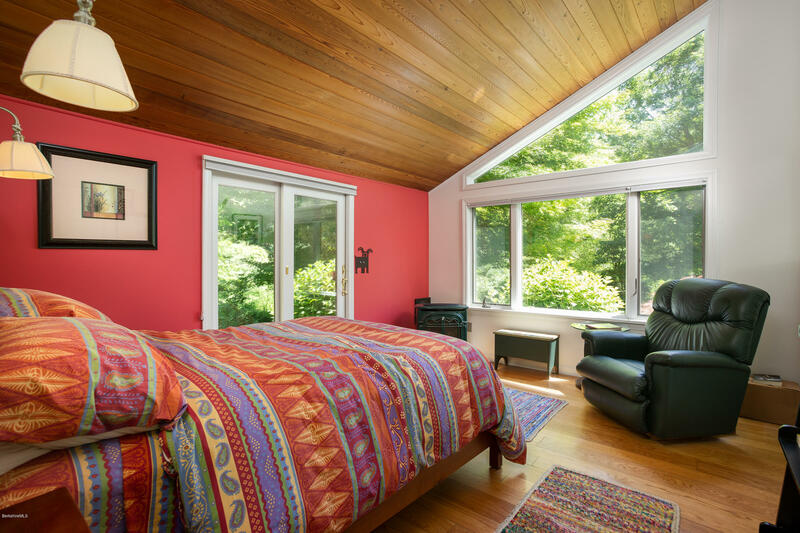 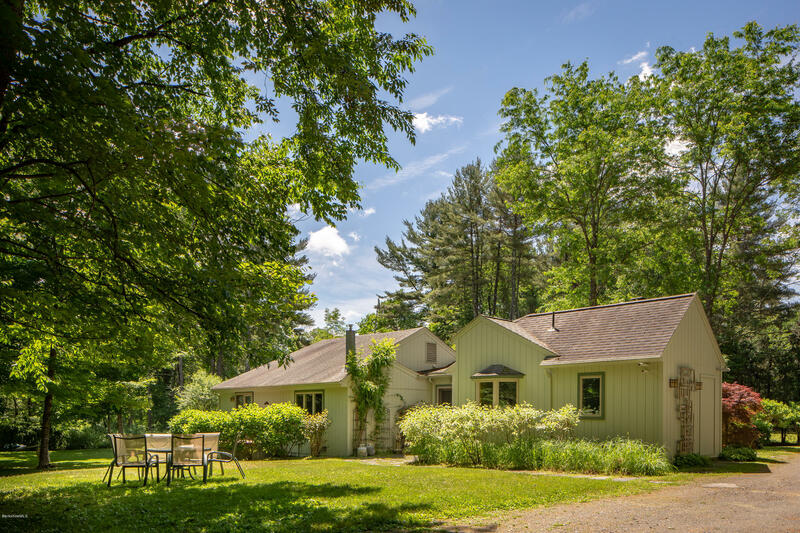 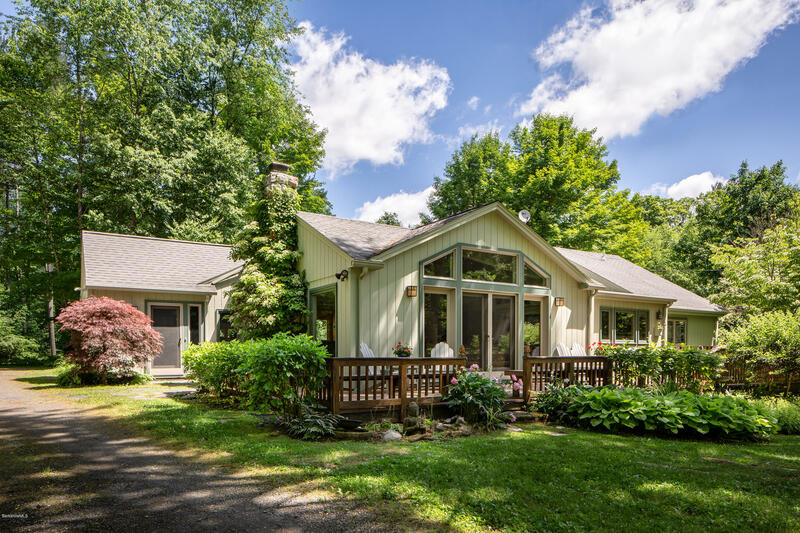 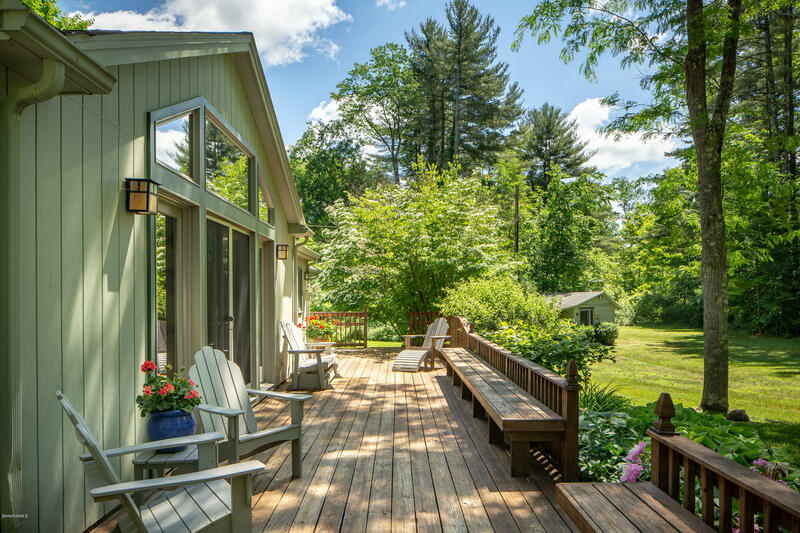 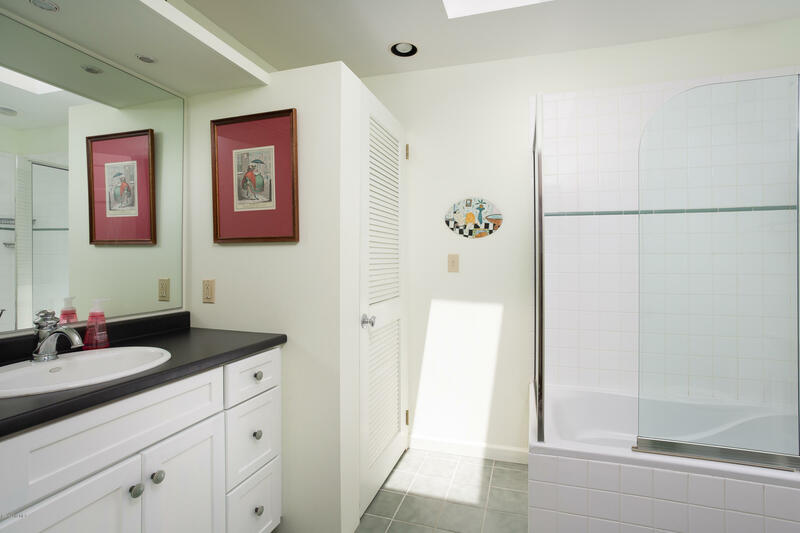 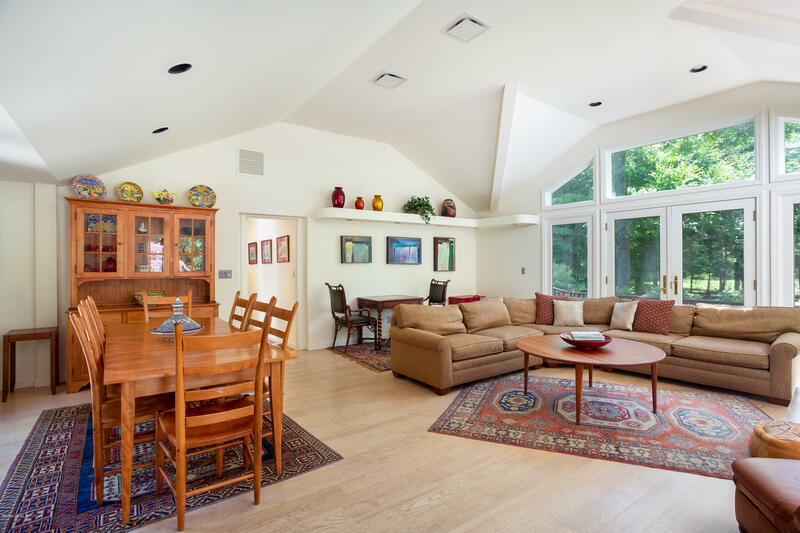 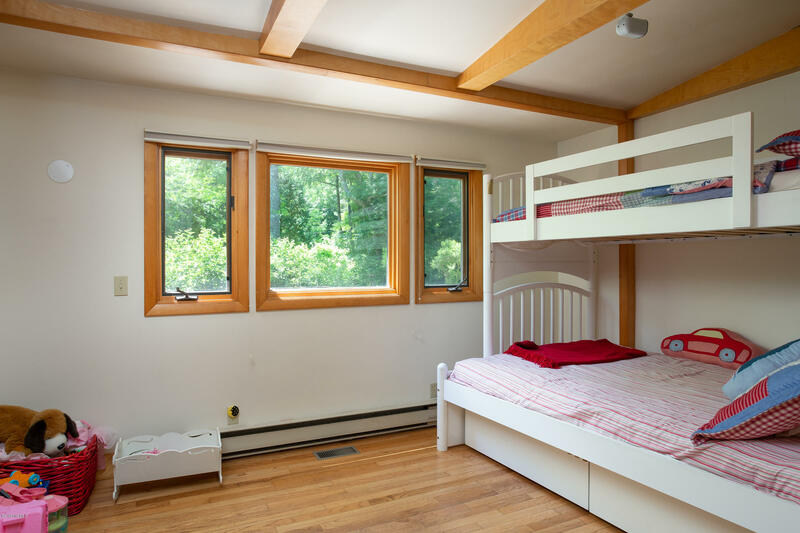 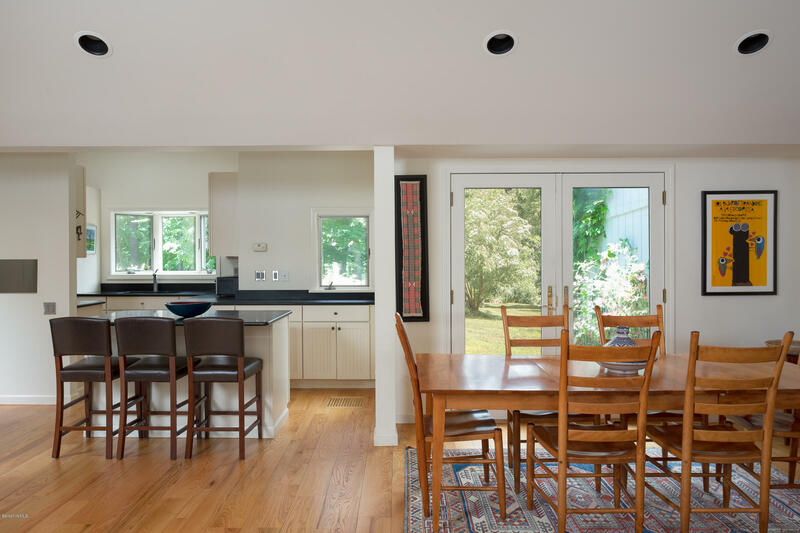 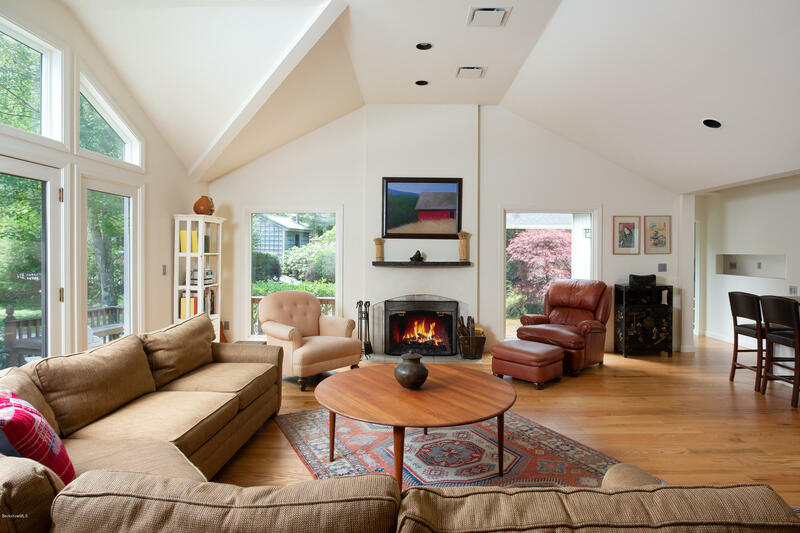 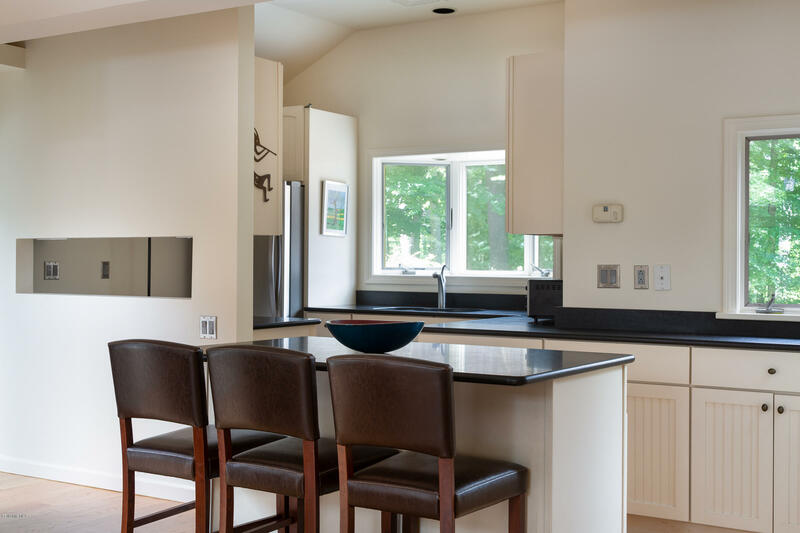 This one-level contemporary home will transport you to a peaceful enclave with easy access to downtown Great Barrington. 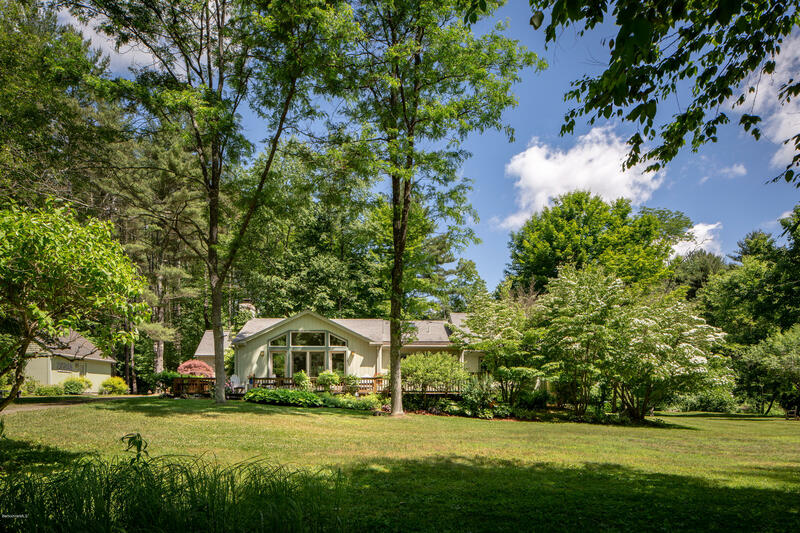 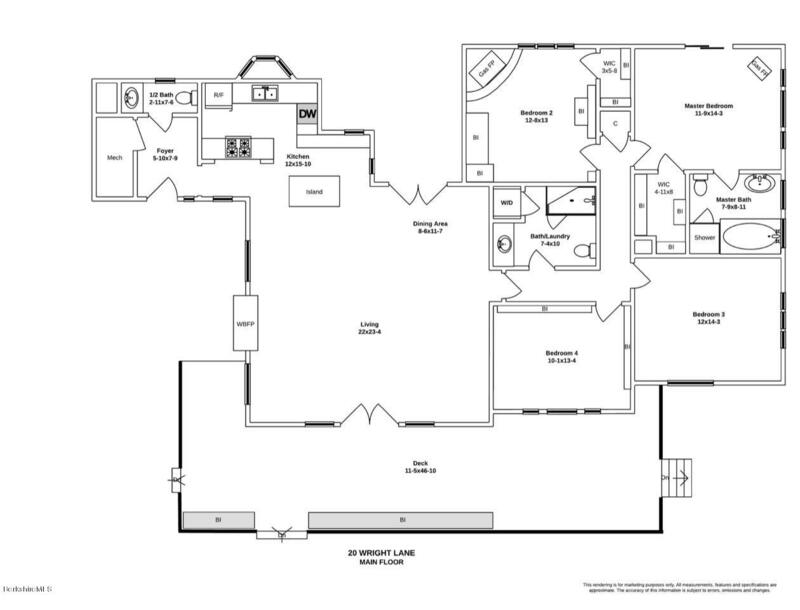 Set on 20 enchanting, private acres with lush greenery, a deck leading to secluded frontage on the Williams River, the open, sunny, floor plan has vaulted ceilings, a great room with fireplace, master suite with fireplace, second bedroom with fireplace and two additional bedrooms. 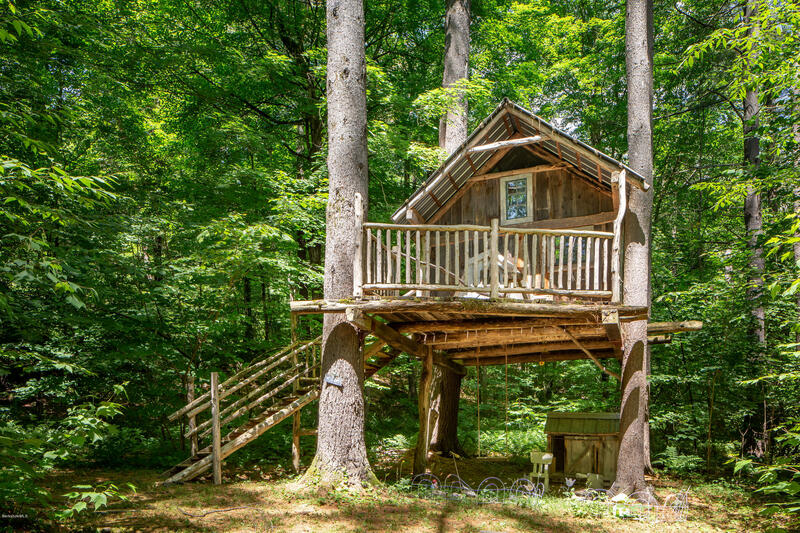 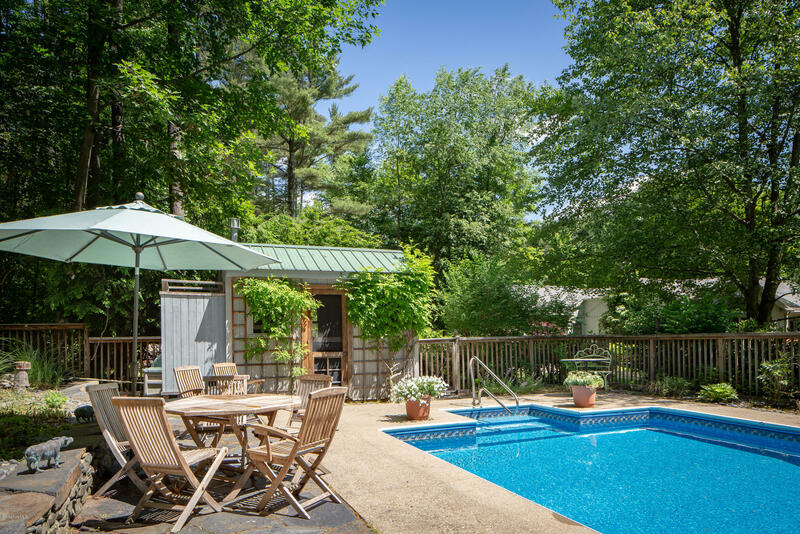 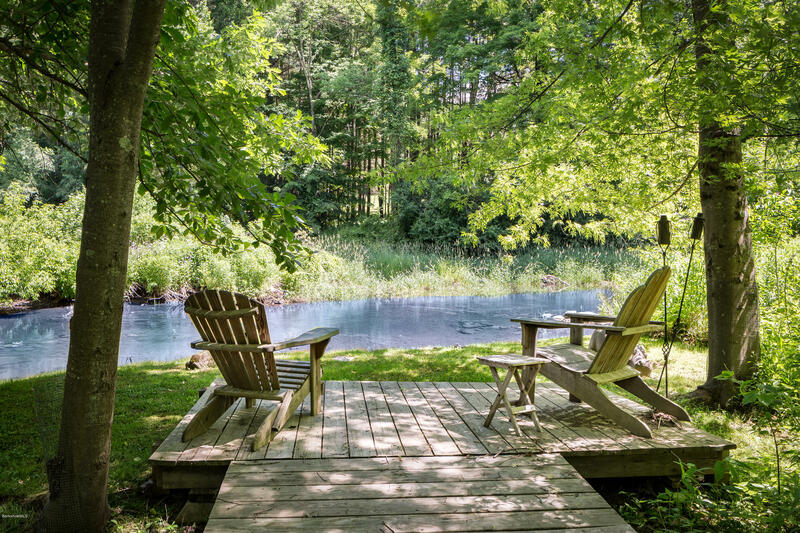 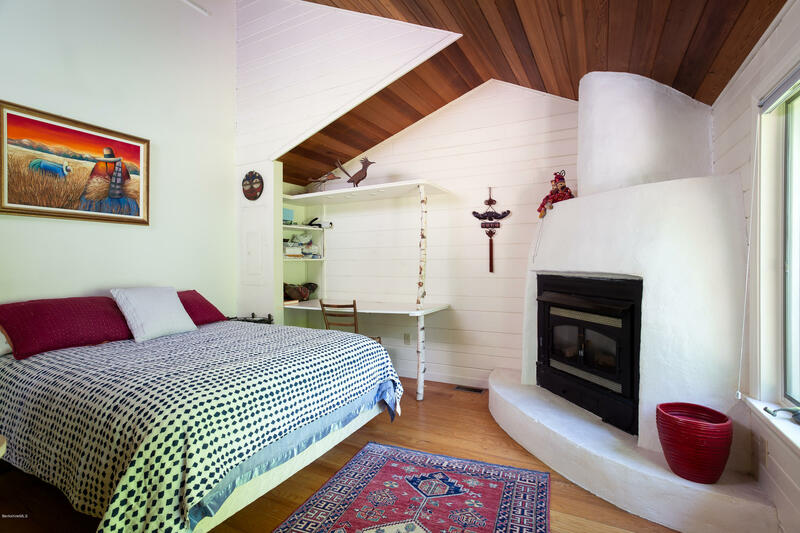 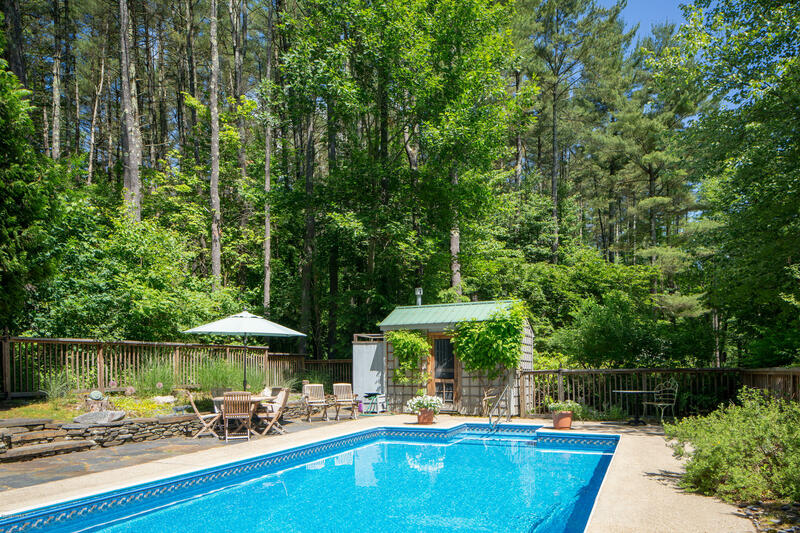 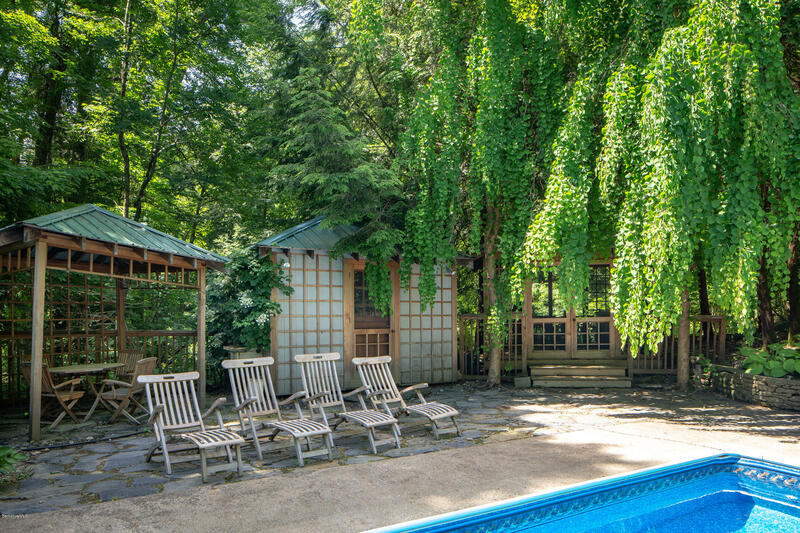 Enjoy the private heated pool, patio and three unique outbuildings, in addition, to a small guest cottage/studio, enchanting custom tree house, and walking paths throughout the property.An absolutely magical place, truly one of a kind.